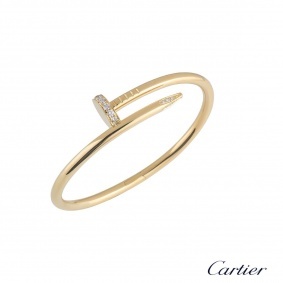 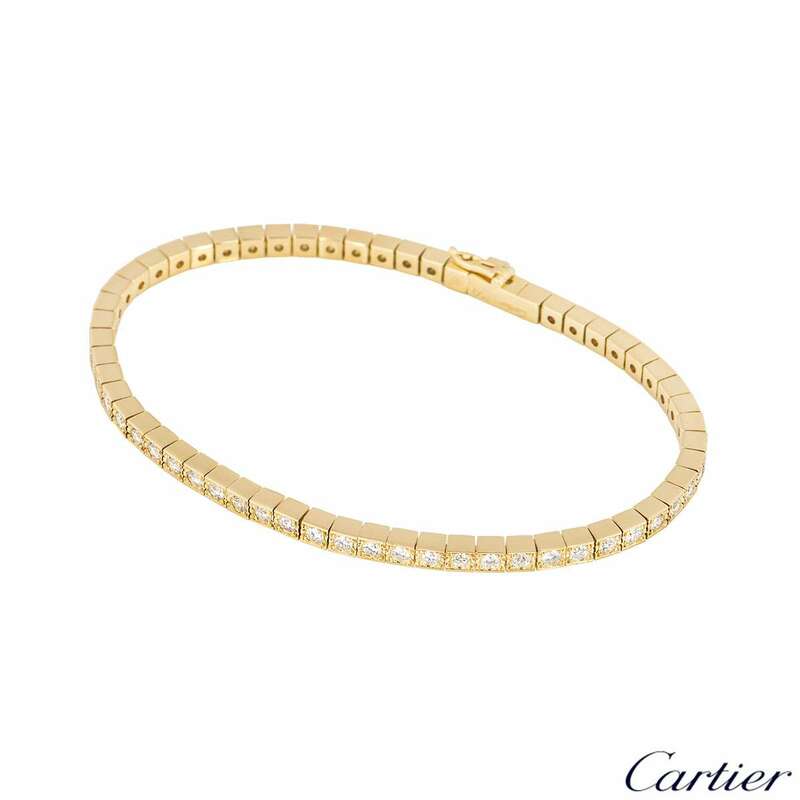 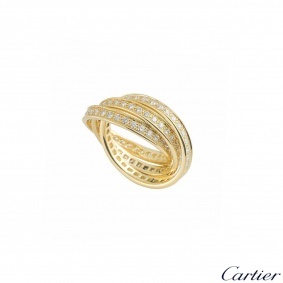 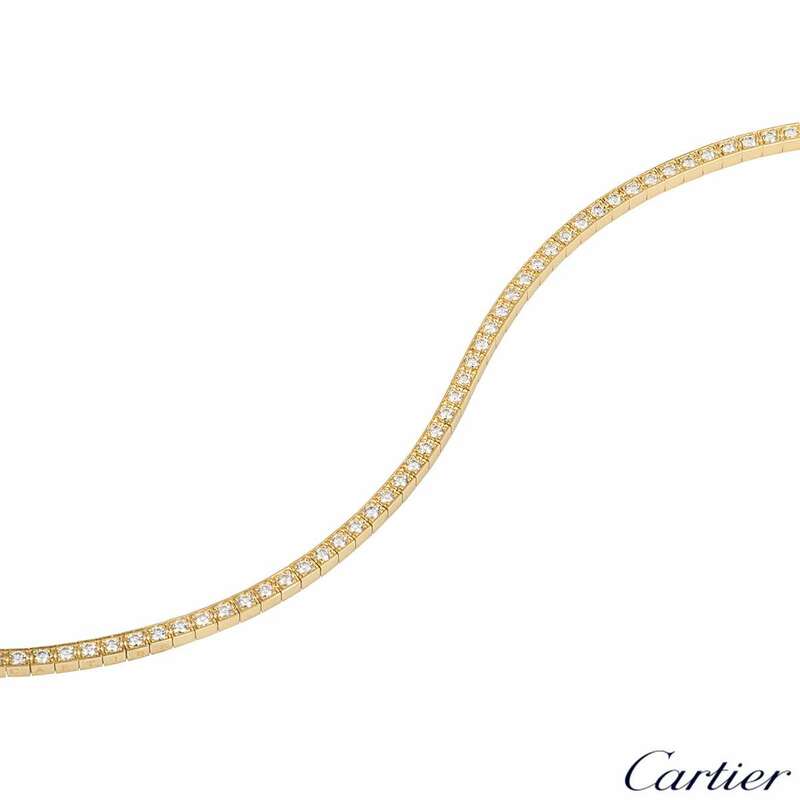 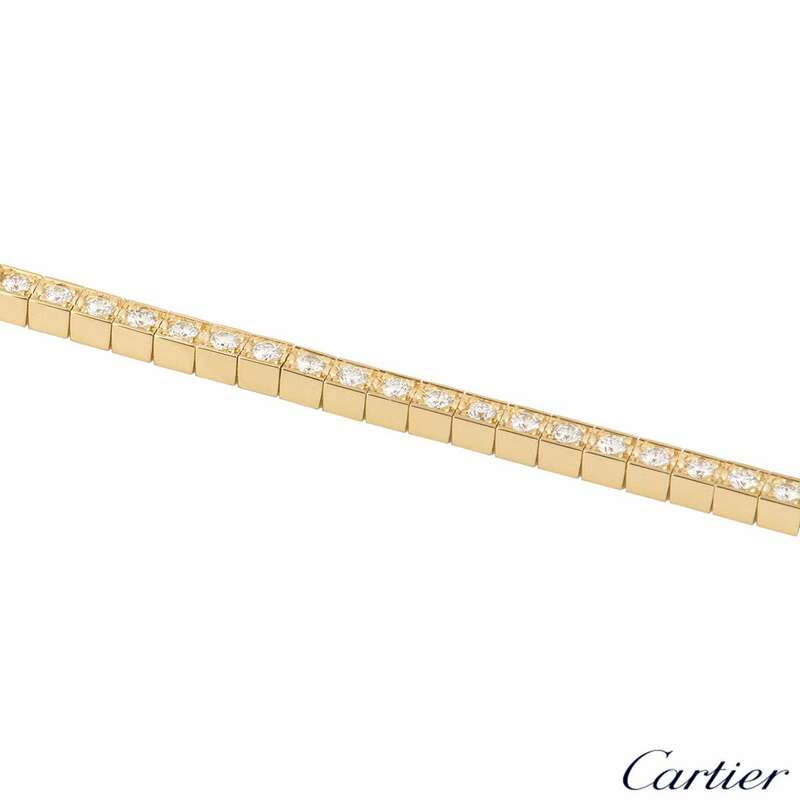 A beautiful 18k yellow gold bracelet from the Lanières collection by Cartier. 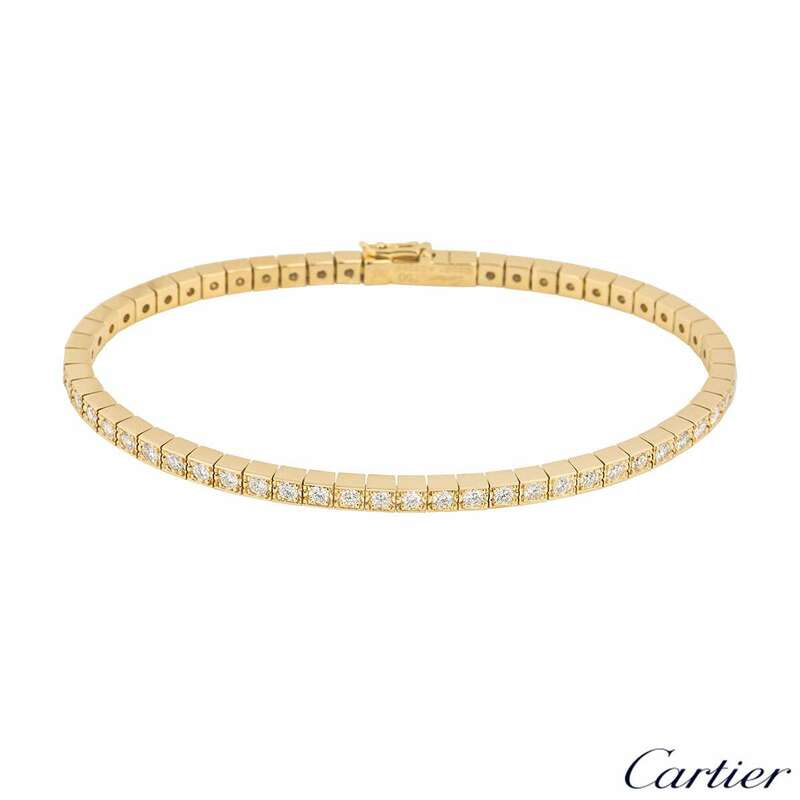 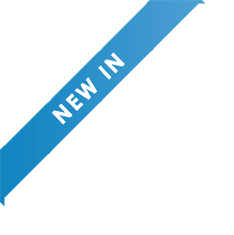 The bracelet is comprised of 59 square flexi links each set with a round brilliant cut diamond, totalling approximately 1.70ct. 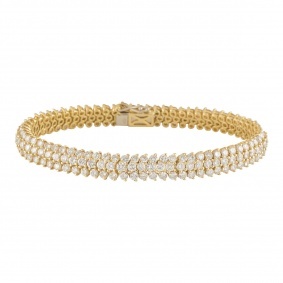 The bracelet measures 7 inches in length and has a tongue clasp with a figure of eight on the side for added security. 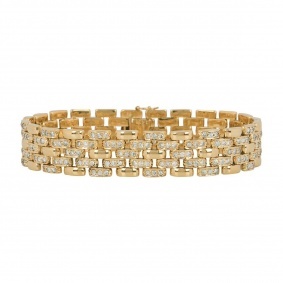 The bracelet has a gross weight of 15.08 grams.